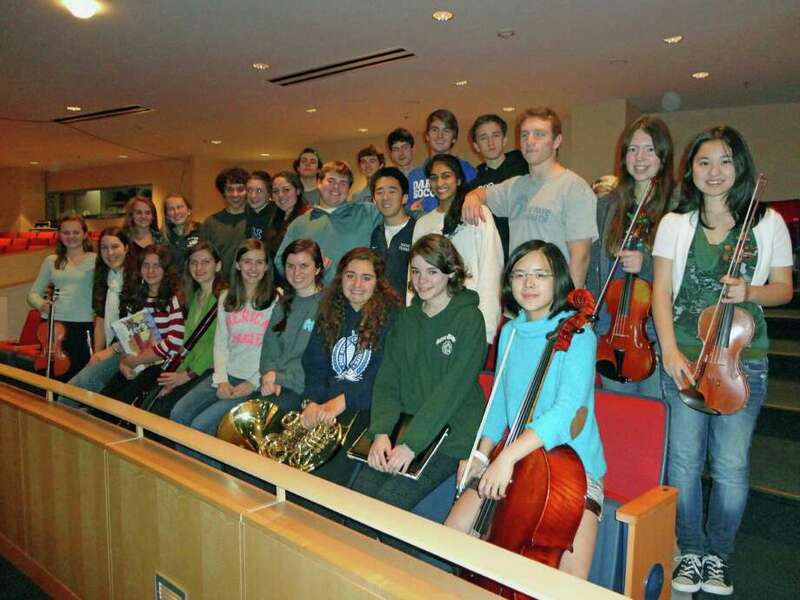 Twenty-eight musicians from Darien High School have been chosen through a competitive audition process to perform at the Connecticut Music Educators Association Western Region Music Festival. The honors music festival will take place at the high school on Friday, Jan. 18, and Saturday, Jan. 19, when the students will have the opportunity to work in band, orchestra, chorus and jazz ensembles with some of Connecticut's most accomplished high school musicians conducted by nationally renowned conductors and educators. The students from throughout western Connecticut rehearse on Jan. 18 in preparation for their performances the next day. On Saturday, Jan. 19, the concerts will take place in the DHS auditorium at 3:30 p.m. for Jazz Ensemble and Chorus Concert and 6 p.m. for Band and Orchestra. Richard Sadlon, the director of music in Darien, said "These students have consistently worked and studied over several years to have been chosen as among the finest high school musicians in western Connecticut and we are all extremely proud of their musical accomplishments." From band: Catherine Lacy, Kyle Blummer, Grace Brandon, Julia Evans, Amanda Sload, Sandya Avula, Danika Hornick, Sonia Gandhi and William Trautmann. From orchestra: Matt Evans, Nicole Gagne, Ryo Usami, Anna Leunis, Monet Takeda, Alison Lui and Chloe Zhou. From chorus: Laura Anglade, Patrick Collins, Drake Corrigan, Matthew Hayes, Reed Morgan, Cristina Noujaim, Douglas Phipps, Lily Saffa, Peter Traver, Melanie Turner and Jackie Winsch. All of the students who participate in the Connecticut Western Region Festival will be eligible to audition for the Connecticut All-State Festival. Tickets are $10 in advance and $15 at the door. To purchase tickets in advance, call 203-655-3981, ext. 2250. For more information, visit www.darienps.org/dpsmusic.